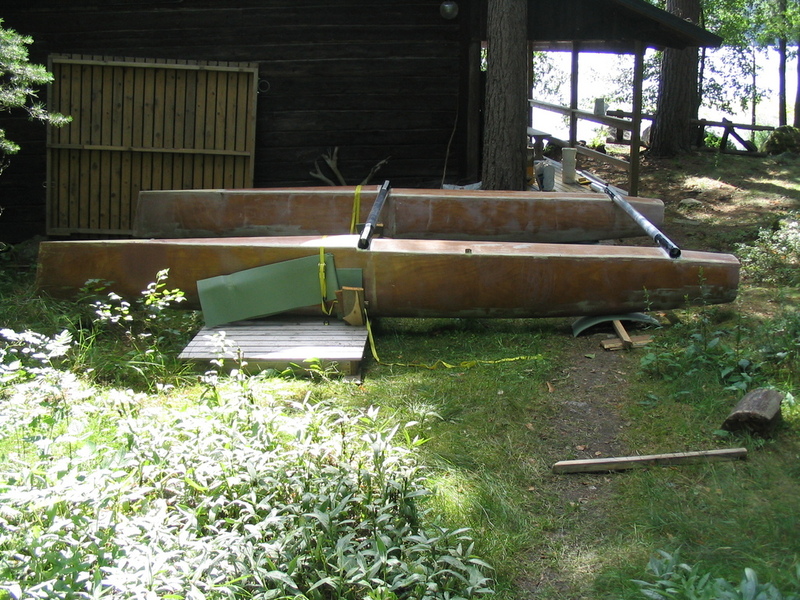 After the last post I decided to move the hulls to our summer place and continue working there. First layer of epoxy filler was applied at the terrace where everything started year ago. After first layer there was still some high and low spots but after sanding and adding one layer the hull shaped started to look pretty decent. The fairing however took so much time that my holidays started to be over. 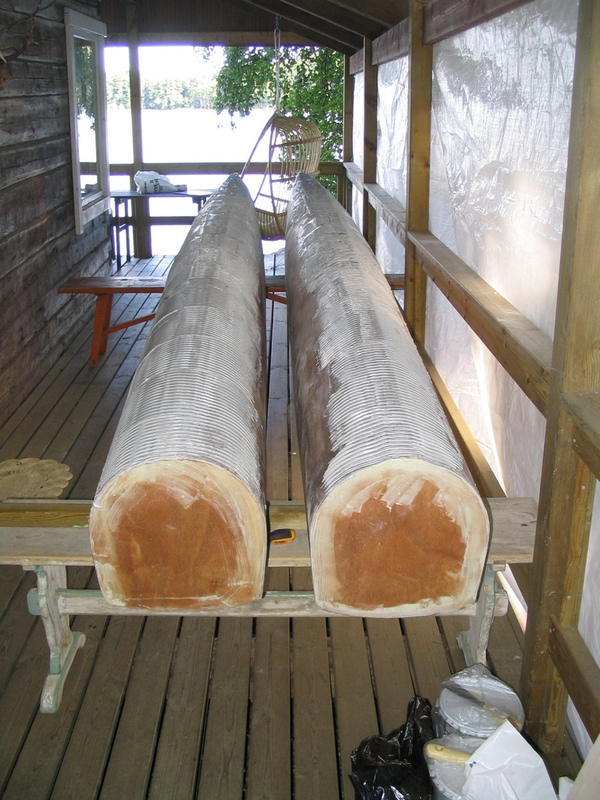 I decided to make beam landings before I had to go back to home so that it would be easier to transport the hulls. It took me one day to get everything aligned with spirit level but with help of an old pier I got everything sorted out. 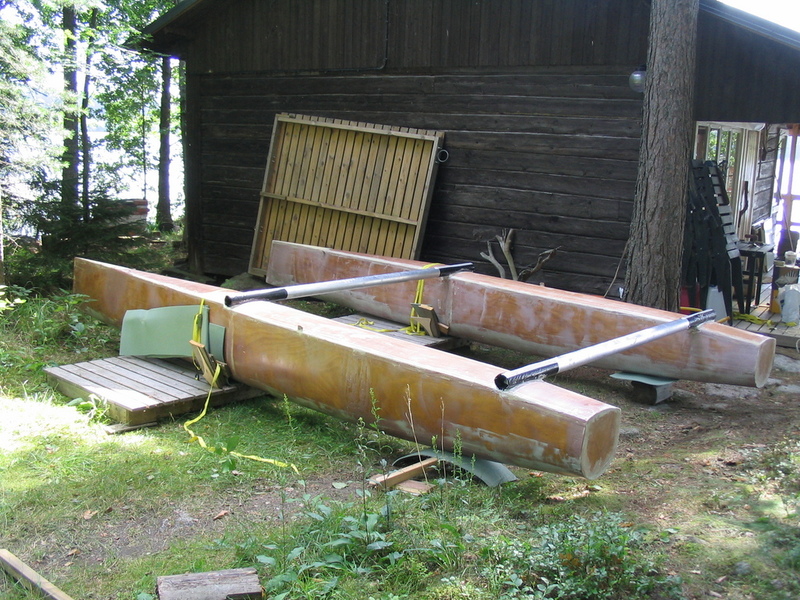 After the beam landings were done she started to look like a real cat ;).The front beam landings were done without the dolphin striker strap (I didn’t take it with me to our summer house) so I need to sand some epoxy to make room for it. 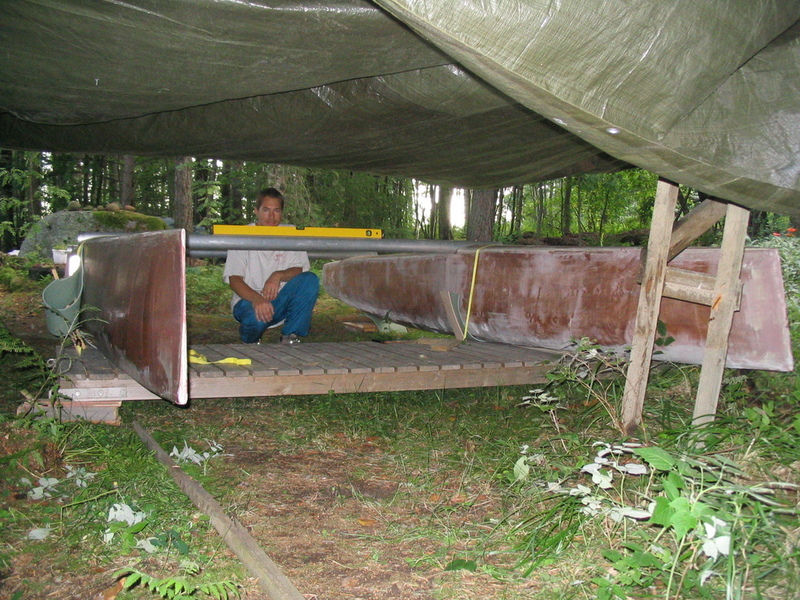 Originally I hoped that I would have finished fairing already but fairing the hulls took few extra applications (i.e. days) to get it right. 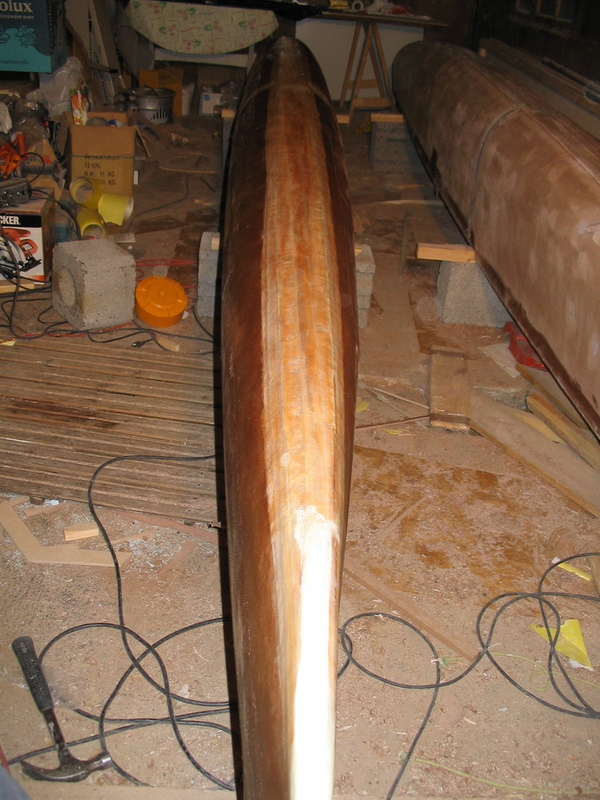 Currently I still have to sand last epoxy layer on the hulls, fair the decks, mould the dagger board case and paint the hulls. Since last post I glued the main decks and after decking it was time for some trimming. I decided to start from the bows. The electric plane was again very useful :). 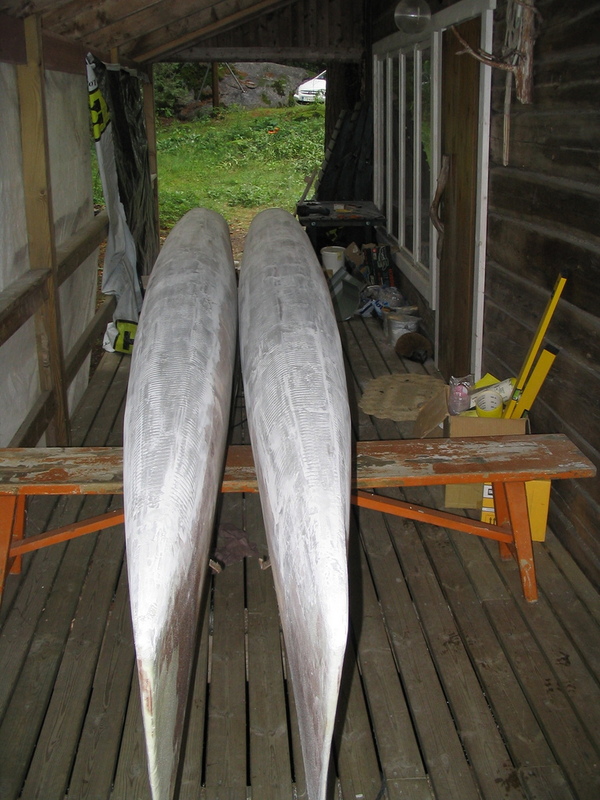 The Blade has reverse rake in the bow so in the first picture the hulls have turtled. 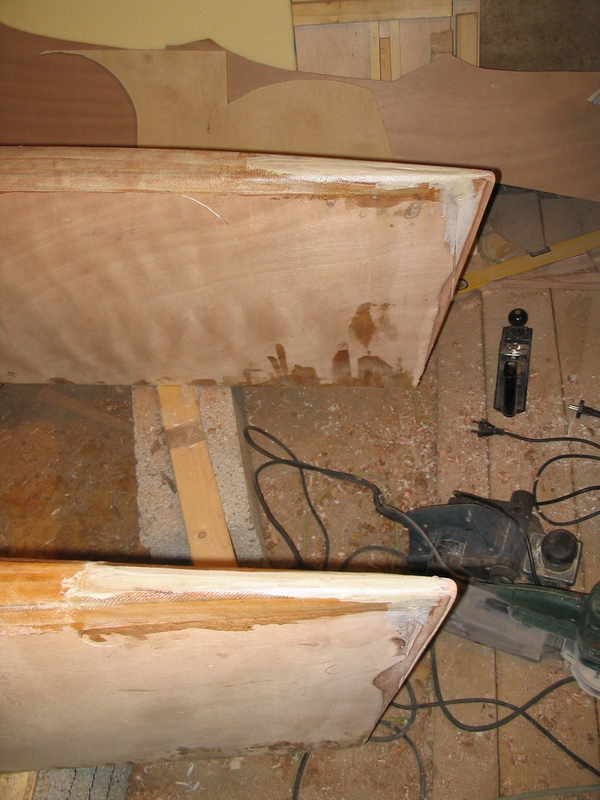 After the bows was trimmed, it was time to cut the decks and round the gunwales. 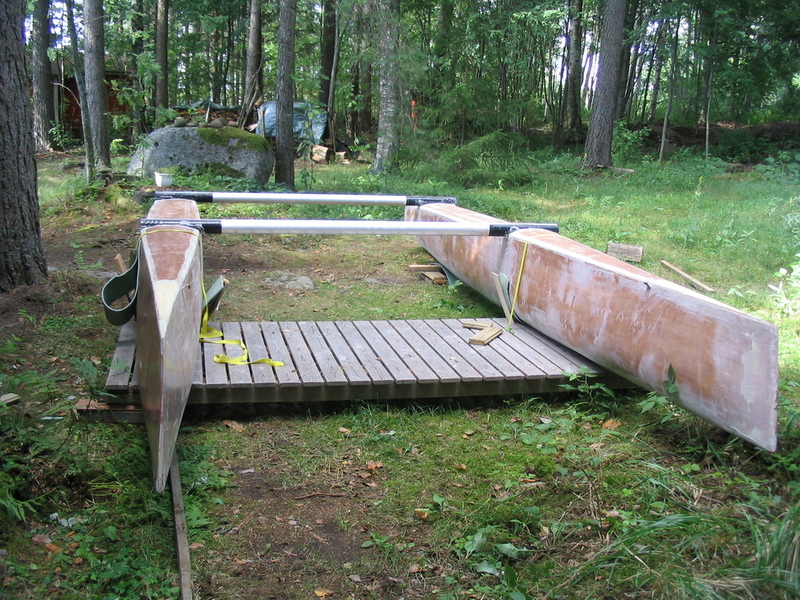 Also fore deck was shaped from foam at the same time. 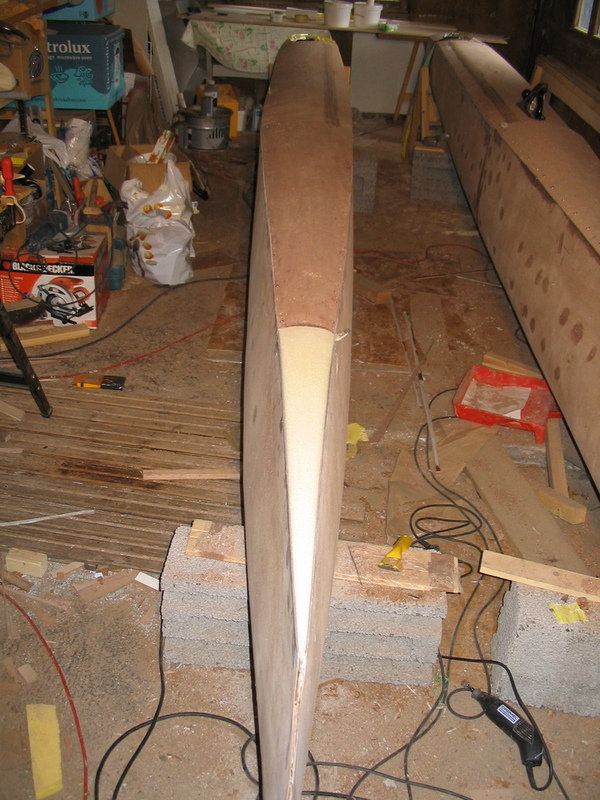 At this point the hulls started to look like catamaran hulls, so maybe it will float after all. 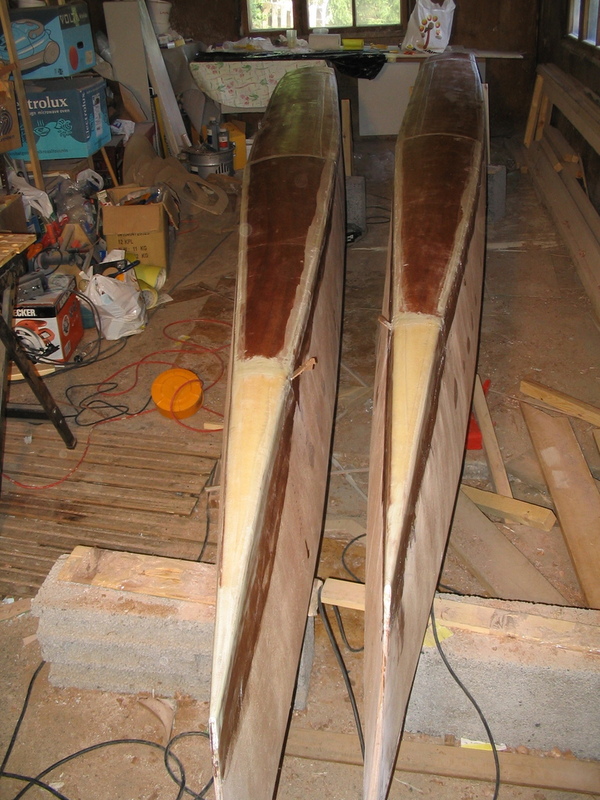 Yesterday and today I glassed decks and epoxied rest of the hulls. At this point only “some” fairing needs to be done before painting ;). 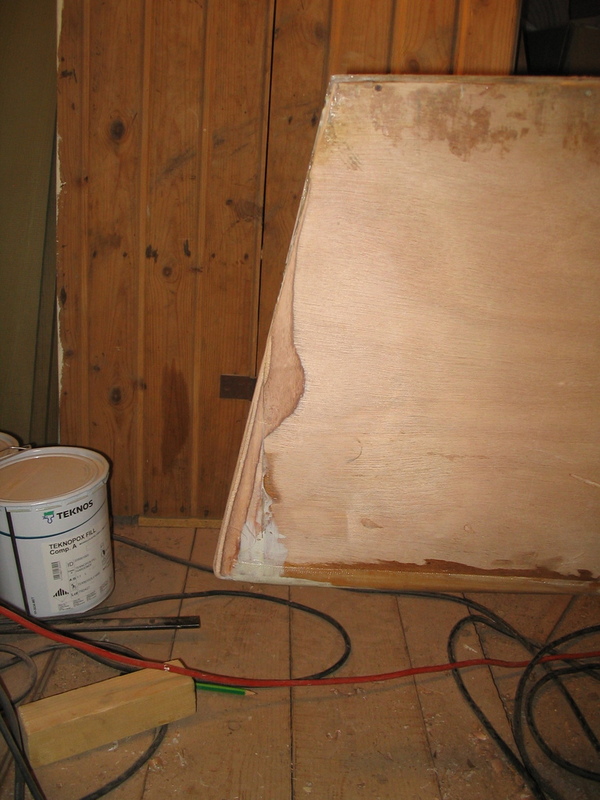 You are currently browsing the Projects weblog archives for July, 2007.